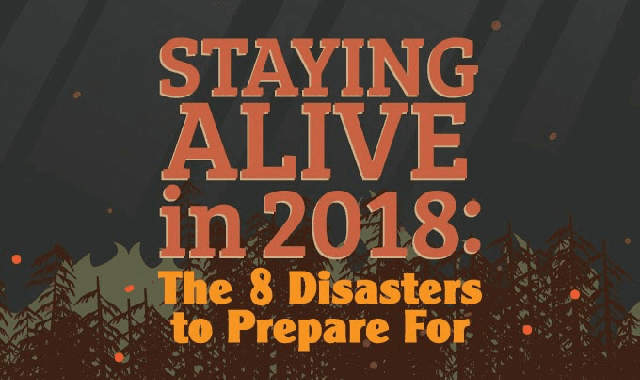 Staying Alive In 2018: The 8 Disasters To Prepare For #Infographic ~ Visualistan '+g+"
There are chances that 2018 might be the year where nuclear war can start. Apart from nuclear war, there are other disasters too that might cause destruction to a very large extent. So, here are the top 8 disasters to prepare for in 2018.